I am often met with blank stares when I explain what I do as Federation’s coordinator for Jewish Educational and Cultural Programming in Newark. These faces are often followed by the question Why? This puzzlement and confusion has come from friends and colleagues, it has come from Jews in my community and from others visiting from Israel. It has also come from people in Newark, from teachers and administrators. My first answer is, I bring these programs to Newark – ranging from Holocaust education to volunteer opportunities to joint Model Seders – to build a connection between the Jewish community and the city of Newark. But the horrible tragedy of the shooting at a Pittsburgh synagogue reminded me that I mostly do this to close divide between us. And maybe, at least in the people that I work with, to help build a little more understanding in the world. 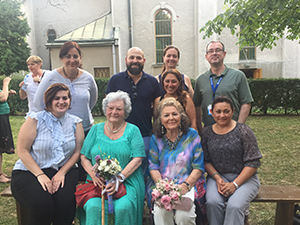 Over the past two summers, I have traveled with nine Newark teachers to Germany, Hungary, and Serbia to attend Centropa’s Summer Academy, a Holocaust training trip for teachers from all over the United States, Europe, and Israel. On these trips we spent Friday evening celebrating Shabbat with the Jewish communities in Berlin and Budapest. None of the teachers that I have traveled with are Jewish and they do not teach Jewish students. Most of them, prior to this experience, had never been to a service in a synagogue. For them, as they celebrated Shabbat for the first time, they observed, asked questions, and participated. And from what they all told me afterwards, it was a very powerful experience. Each of these teachers has returned to their schools in Newark and used the tools from the trip to deepen the education they provide to their students. To be honest, as the news of the shootings unfolded out of Pittsburgh, I was not thinking right away of these nine amazing teachers in Newark – but they were thinking of me. As I began to hear from them in the days to follow, they all expressed their sympathy and shared that as they heard the news they immediately thought of their Shabbat experience. And with that, I again was reminded of why Newark. 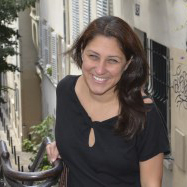 Why non-Jewish teachers that teach non-Jewish students. And the why is so great. The why is that there are nine teachers – with more to come during the summer of 2019 – who are out there teaching about the Holocaust and anti-Semitism. There are nine more teachers out there who care to teach their students not to hate. There are nine more teachers out there who could change a young person’s point of view. So as bleak as the past week has been for American Jews, I find some hope in the emails and texts these teachers have sent to me. I find some hope in why I do what I do. I find hope in the answer to why Newark? Copyright © 2019 Jewish Federation of Greater MetroWest NJ. All Rights Reserved.